Within the past ten years, a swarm of creepy characters have been born and reborn in the horror genre, from the makeup work used to create Pennywise the Dancing Clown in “It” (2017) to the chilling technical effects in “Lights Out” (2016). But paranormal beings aren’t the only villains in these movies. We’ve compiled a list of some of the best movies with the most unsettling monsters in horror: humans. Newcomer Erin (Sharni Vinson) and her boyfriend Crispian (A.J. Bowen) quickly become victims of a murder mystery at Crispian’s wealthy family’s reunion. After the first arrow flies—quite literally—the group panics and tries to figure out the motive of the animal-masked people picking them off. Erin is a badass protagonist who thinks on her feet and makes her own rules. Aside from Erin, the elaborate plot and hidden motives of the attackers in “You’re Next” make this film a great start to our list. Speaking of masked villains, “The Strangers” takes a bad date night to the next level. Kristen (Liv Tyler) and James (Scott Speedman) return home from an unsavory dinner only to be tormented by masked people who show up in their front yard. Throughout the night, we get fragments of what happened during the date and grow attached to this unlucky and terrified couple. The plot in “The Strangers” is structured like a dance, and the eerie use of sound in the movie sends goosebumps up the skin, from the silence of the masked antagonists to the unsettling whine of a record player. Reeling from a recent breakup, Maddie (Kate Siegel) moves to a home in the woods to finish her next novel. But in the first 15 minutes of the film, Maddie’s friend visits and is murdered. A cat-and-mouse chase ensues over the course of the night between the culprit and Maddie. This jarring start sheds light on the fact that Maddie lost her hearing and voice, and doesn’t hear her friend screaming in peril, right outside her home. Maddie’s identity as an author comes into gradual play as she retaliates and uses her creative skills to sort things out. Eventually, we begin to ask: Who is the cat and who is the mouse? Eight months after its release, “Get Out” has easily found its way into the horror movie genre. 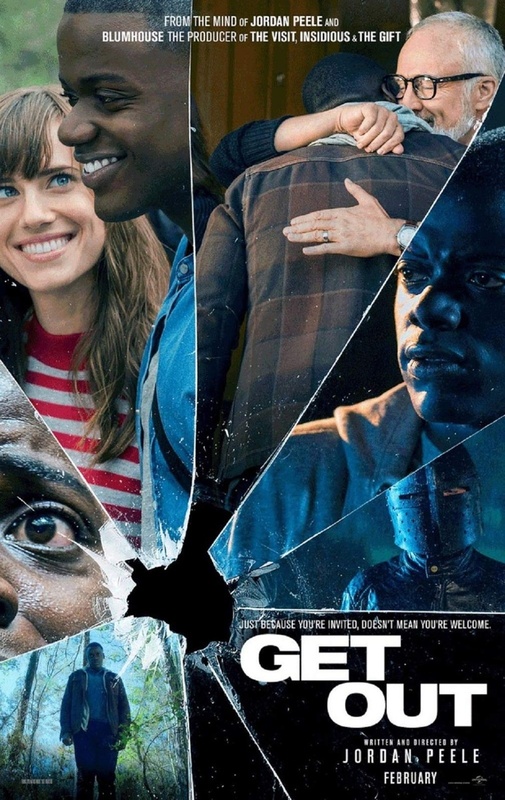 When Chris (Daniel Kaluuya) meets his girlfriend Rose’s (Allison Williams) parents, he finds more sinister layers to the casual racism of her affluent white family. The film is a powerful blend of witty humor and social commentary. “Get Out” bubbles with anxiety with its disturbing unsettling characters. A hidden gem of sorts, “The Invitation” takes the cake for the best horror movie with human antagonists. Will (Logan Marshall-Green) and Kira (Emayatzy Corinealdi) are reunited with Will’s old friends during a house reception put together by his ex-wife, Eden (Tammy Blanchard). With no evidence of an ulterior motive, Will is unable to convince his friends that something is wrong with Eden’s invitation. All good horror films strive to craft an atmosphere of suspense. “The Invitation” does so by creating a story without trust, in which we the audience become skeptical of everyone involved. It holds its suspense artfully, breaking it only to show just how horrifying people can be. Your reporters may do well to visit not just the high lavatory, but the heart of Lamont.